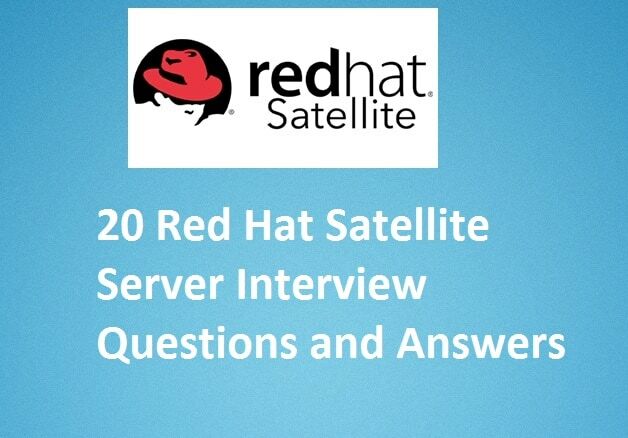 Q:1 What is Red Hat satellite Server and why it is required ? Ans: Red Hat satellite Server is a system management tool that can be used to configure new systems and provide software updates from Red Hat Network. 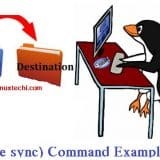 It synchronizes the OS Package repositories based on the manifest from the Red Hat Network.It is used to apply patches to the register RHEL system and registered systems can be configured using Puppet modules. Q:2 What are different components of Red Hat Satellite Server 6.2 ? Katello – It is a subscription and repository management tool. Hammer – It is a command line tool, which is used to manage and perform Satellite server operations using command. Capsule Server – It is a proxy server of main satellite Server. Q:3 What is Capsule Server and where is required ? Ans: Capsule Server is generally used to extend the satellite server deployment to different geographical locations . In other words we can say it is a proxy server for main satellite server. Capsule Server is required for the organizations which have multiple locations. On the Primary location we can install Satellite server and for other locations we can deploy Capsule server. All the repositories content are synced to capsule server from main satellite server. All the RHEL System is registered to their respective location’s capsule Servers. Q:4 What are the logical Steps to Install Red Hat satellite Server 6.2 ? d) Generate the Manifest for Satellite server from Red Hat Portal and upload it to your satellite Server. e) Sync the Repositories based on your requirement and Create Contents views and Life cycle environment. f) Start Registering the RHEL systems using the Activation Keys. Q:5 How to retrieve Satellite Server admin password in case you have forgotten ? Q:6 what are the different ways to register RHEL machine to Satellite Server for patching ? 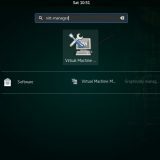 subscription-manager subscription-manager register --org="Test" --activationkey="RHEL7-Test"
Q:7 Let’s assume you have register one RHEL 6 / 7 server to the satellite Server and it is visible in the dashboard as well but the count of Bug fix, enhancement and security patches are zero. 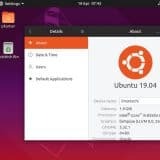 How you can resolve this issue ? Q:8 How to safely upgrade your Red Hat Satellite Server version to the latest one ? Ans: To upgrade your Red Hat satellite Server perform the following commands from the terminal. Note: It is always recommended to take backup of your currently running satellite server then you can execute the above steps. 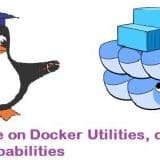 Q:9 How to enable specific Red Hat repository on your register client ? Q:10 How to unregister a server from Red Hat Satellite Server ? Ans: To unregister a server from satellite server first run the command from the server’s terminal “subscription-manager unregister” then go to satellite dashboard remove or unregister that hosts from content hosts entry if it is there. Q:11 How to verify the subscription status of a RHEL Server in Satellite ? Ans: From the server’s terminal run the command “subscription-manager status”, it will display the current subscription status and we can also verify the subscription status from Satellite dashboard, Go to the hosts Tab –> then content hosts –> See the subscription details. Q:12 What are different ports used between satellite server and its client for smooth patching ? Q:13 How to verify whether satellite server’s service is up and running ? 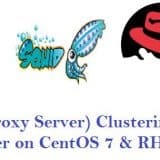 Q:14 Which agent is installed on RHEL Servers for Red Hat Satellite ? 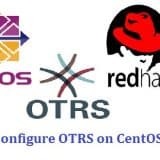 Ans: ‘Katello-agent’ is needs to installed on registered RHEL Server for satellite, Katello-agent provides goferd service and with help of this service we can easily patch the registered RHEL Servers from satellite dashboard. Q:15 What are Content Views and why they are used in Satellite Server ? Ans: Content Views dictate what content is published into the repositories and therefore control what is made available to environment paths and their associated life cycle environments. Q:16 What is Hammer CLI and why it is used in Red Hat Satellite Server ? Ans: Hammer CLI is a command line utility through which we can configure and manage our Red Hat Satellite Server. In other words we can say whatever tasks we do from Satellite dashboard same can accomplished via hammer cli. Q:17 What is manifest file in Red Hat Satellite and from where we can generate manifest file for Satellite Server ? 6.2 and click on Register. Step: c) Now attach subscriptions that you want to add to this organization and then download the manifest. Q:18 How the puppet modules are imported & managed by satellite Server ? Q:19 How to configure backup of your Red Hat Satellite Server ? Ans: Whenever we install Satellite Server then ‘katello-backup’ is also installed using this utility we can configure the backup. This type of backup take lot of time because it will take the backup of all repositories, also make you have enough free space in your backup directory. Q:20 is it possible to provision bare metal & virtual machine using Satellite Server ? 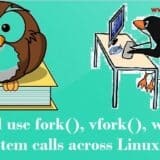 That’s all from this article; Hope these question might help you to clear Linux admin Interview. Please do share your thoughts and comments using below comment section. 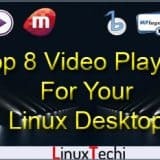 What a wonderful list you have gathered for Red Hat Satellite Server ? I greatly appreciate your effort on this, i learnt a lot. Is there any session that you will be creating for using Red Hat Satellite Server practically ? I am hoping to see this topic in practical details. Keep Up the Good Work !